11.11, lasted 24 hours shopping carnival festival of Taobao, finally ended! Asthe leading brand of diapersin China,Chiaus’ record climbed, hit the new recordand won the sales champion of brand diaper again in China market on Nov. 11, 2015. 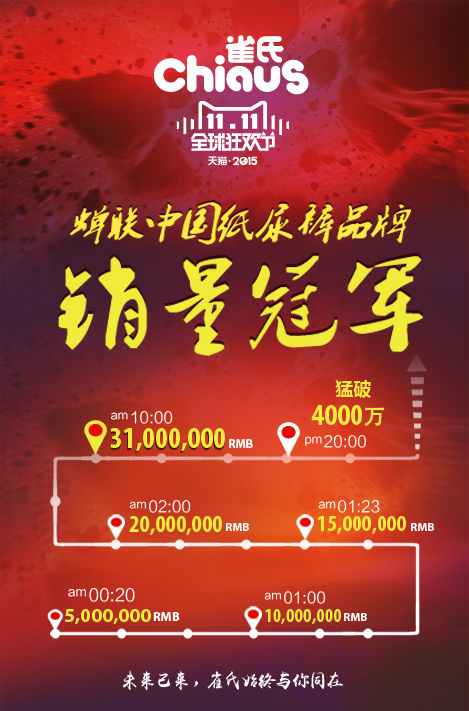 With 23:59:59 across, in only 20 minutes, The payment amount of Chiaus flagship store on Tmallbroke through5millionwith irresistible force, at 01:00 am, the amountsuccessful breakthrough 10 million, one hour later,quickly reached to20million. 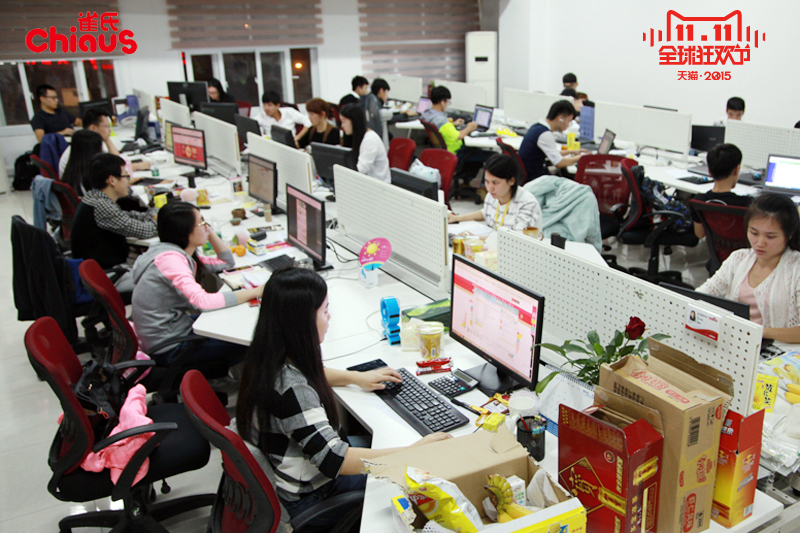 Up to 10:00am, Chiaus entire network sales break 31 million benchmark, break sales record of 2014.11.11 network sales amount.Finally, in this salesbattle,Chiaus won the whole network sales champion of China brand diaper by the total amount of more than 40 million transcripts! 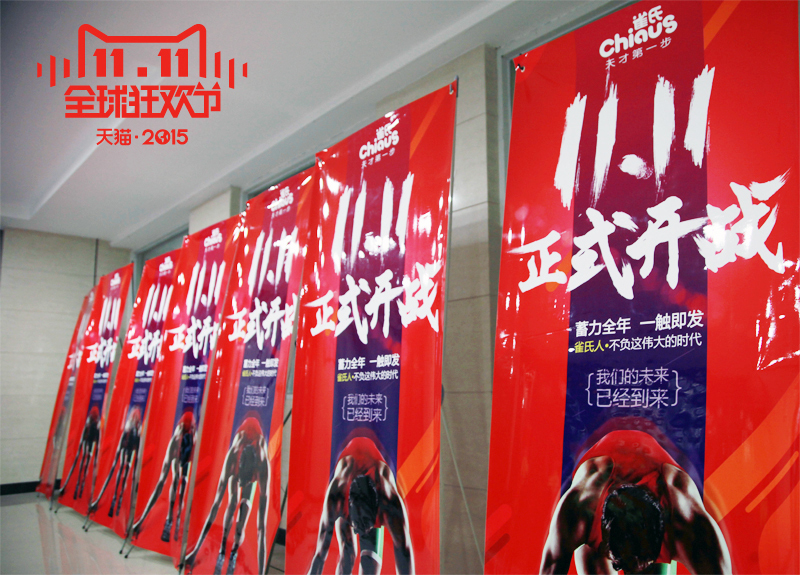 "In the 11.11 of this year, the reason that Chiaus can won the sales champion of domestic brand diaper onthe whole network, is not only because the hard work of allChiauspeople, but also thanks to the customer’shighly reorganization for Chiaus products, brand and service. Chiaus' immutable goal are always to make consumer satisfied,bring customers the most affordable, most cost-effective products and services! "ChiausCEO Mr.Jiaming Zheng said that the biggest beneficiary on 11.11 is the consumer,in the changing quickly internet business model, we need to pay attention to the consumer experience,give them the best shopping experiencefrom product, service, logistics, after-sales and many other aspects. In the mobilization meeting before the "11.11" was officially launched, the Chiaus' chairman asked all Chiaus people always bear the brand mission "Care the healthy growth of baby with love,persistently to build a better lifefor people" in mind, and called on everyone to united together andsent the most attentive service to every Chiaus' product buyers. In such a crazy shopping carnival, Chiaus made full preparations for customer service, goods, logistics, order processing, publicity and other aspects. It is precisely because of the adequate preparation, the service concept of Chiaus' salesman are deeply rootedin all Chiaus people, from diapers selection guidelines to the way of wearing diapers,andto after-sales service, the service spirit of Chiaus' salesman attracted a wide variety of repeat customers. In this11.11, the renew Chiaus' achievements, which already is a nice battle, more importantly, through11.11, Chiaus brings good shopping experience and cost-effective products to the masses of consumers and Internet users. The double 11 of 2015 is another leap forward of Chiaus' E-business, but also a perfect transformation of chiaus' salesman. Chiaus' CEO Mr.Jiaming Zheng said: In future, Chiaus will prospectively leada longer-term development, foothold in China, win the trust of societyandbecome the powerful benchmarkof the industry! Adhering to the brand philosophy of "care healthy growth of baby with love" , shoulder the service mission of "baby comfort,mother comfortable". Chiaus will share with you the joy ofthe coming ofnew life. 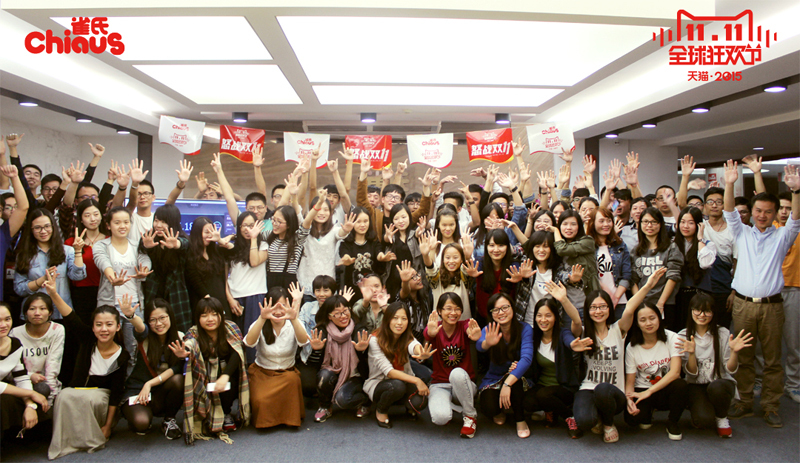 In 2015,it is your accompany, make us become stronger! We Chiaus always produce quality diaper for baby!